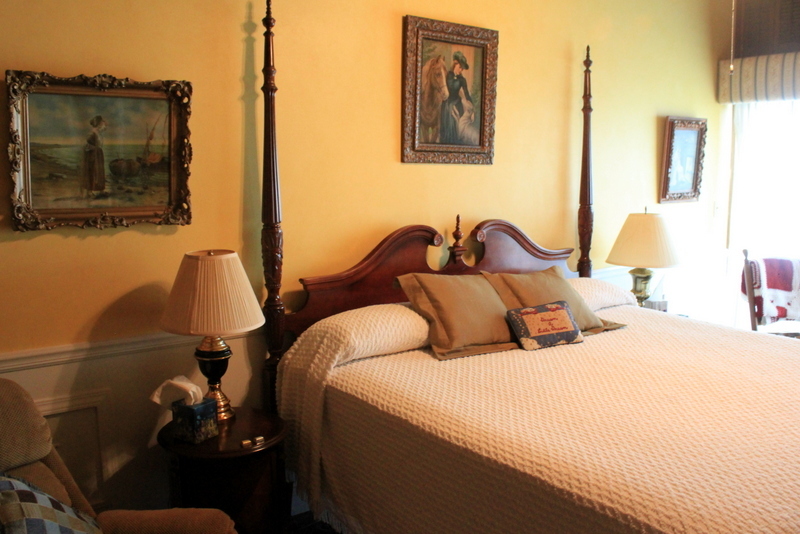 The Secret Bed and Breakfast features four guest rooms which are located on the 2nd floor above the Main Lodge. Two rooms are located on the view side (Tranquility and Serenity) and two rooms are located on the wooded side (Remembrance and Enchantment). Each of these rooms may be entered from the main upstairs hallway which also leads to the unique roof top pool and suspended deck. The patio and balcony area offer one of the most impressive views in the south. 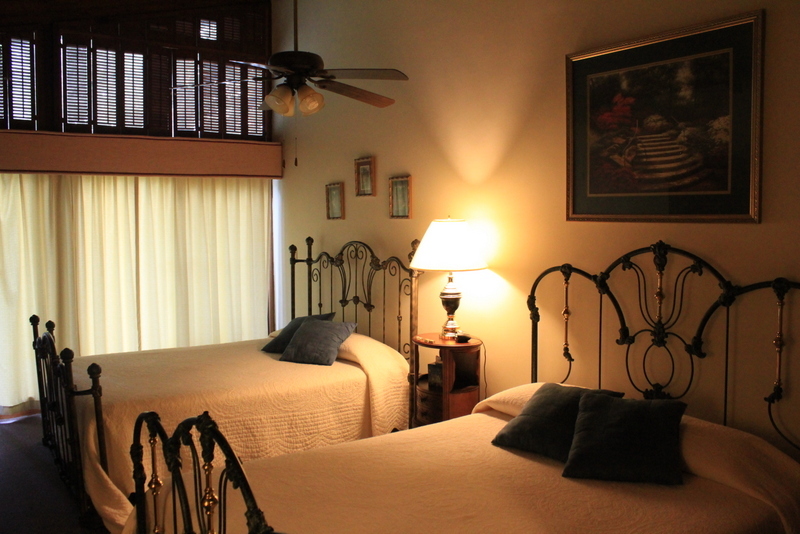 All rooms and cottages have balconies and private baths. Click on one of the room or cottage names below to learn more and view pictures of each accommodation. 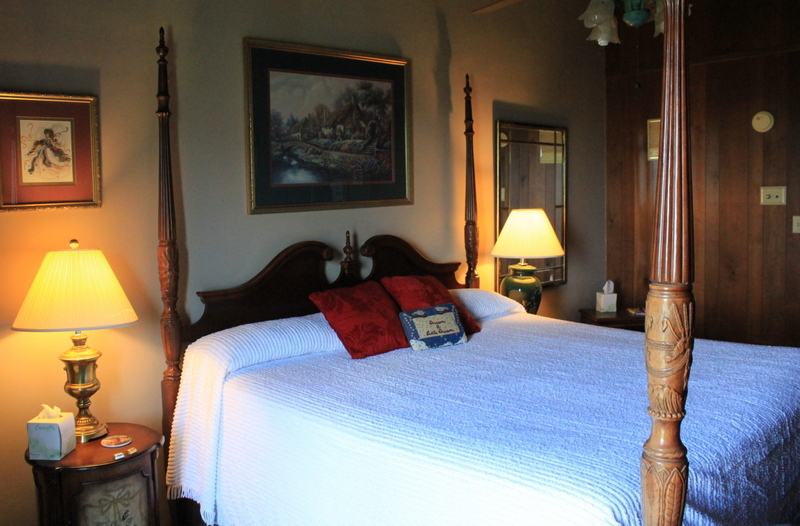 Tranquility is located in the Main Lodge on the view side of the property overlooking Weiss Lake. 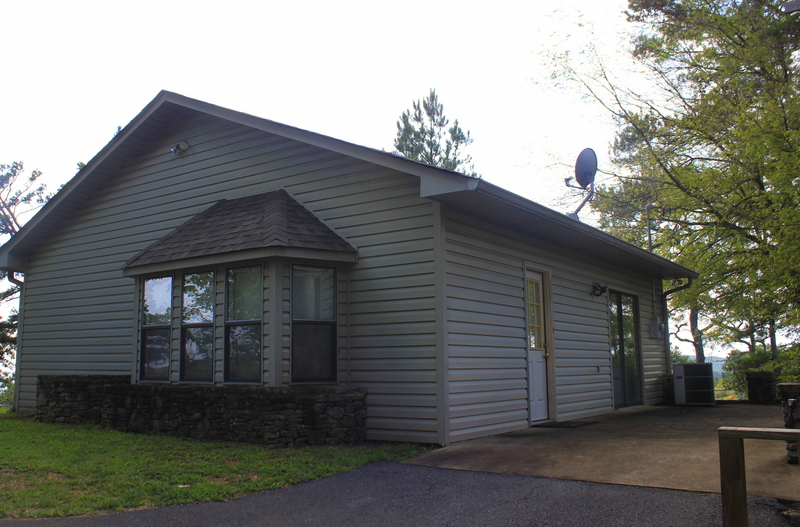 Serenity is located in the Main Lodge on the view side of the property overlooking Weiss Lake. Remembrance is located in the Main Lodge on the wooded side of the property. 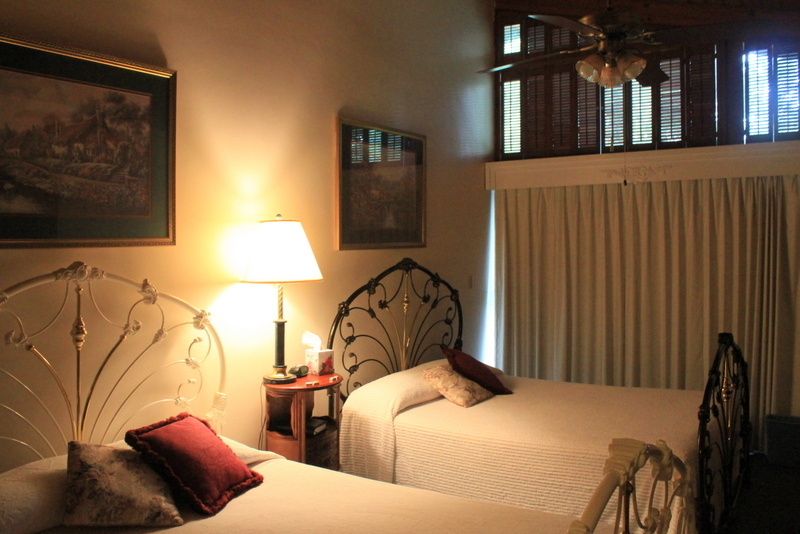 Enchantment is located in the Main Lodge on the wooded side of the property. Looking for something more private? 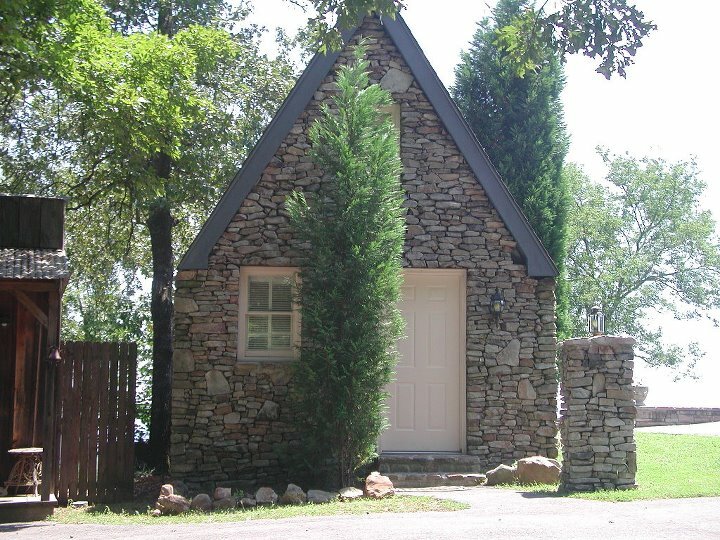 Discover four of the most unique cottages in the state of Alabama. These cottages offer the best of both worlds – a bed and breakfast experience with the ultimate privacy. Enjoy the main lodge area which features a big screen TV, a large fireplace and a spectacular view from windows towering three stories in height. Then, you may return to your hide-a-way to enjoy your personal view of the surroundings. The largest of all the cottages, “The Nautical Cottage,” is a ground level facility decorated in a lighthouse motif and wicker furniture. It has been designed for the comfort of two who enjoy roomier accommodations or for those who love to cook. The kitchen is complete with dishwasher, microwave and trash compactor. The Nautical Cottage features sunsets from a very private viewing area. This is a must for those who enjoy privacy and spacious accommodations. 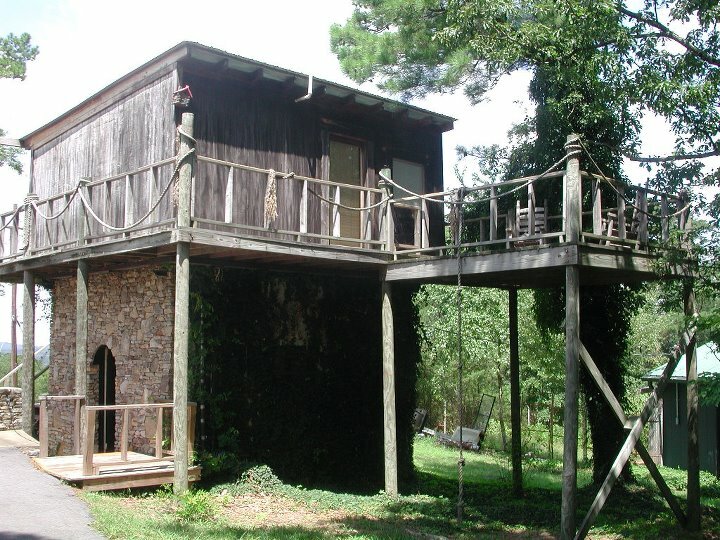 On the wooded side of our property is the “Tree-house”. This lofted cottage is designed to bring back memories from childhood as it is designed with an actual tree-house in mind. It is decorated with a tree trunk and a ceiling of greenery. It features a queen bed, a Jacuzzi with a shower on the side and a spectacular raised view over the property. The most romantically decorated cottage is the, appropriately named, “Sugar Shack!” An enchanting layered stone cottage — this is a must for honeymooners and those who have fallen in love forever. Located adjacent to the secret, The Sugar Shack offers the ultimate in privacy as well as a bed & breakfast experience – the best of both worlds. 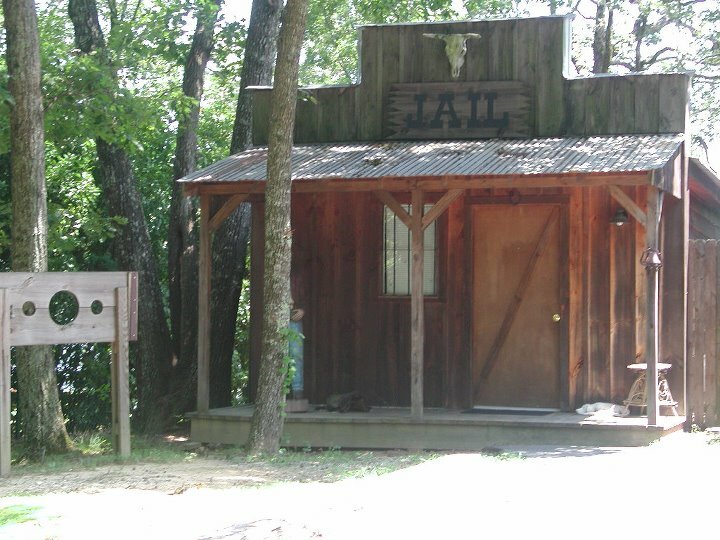 The 1850’s style Jail House is the best — great for laughs, surprise birthdays and for those with a sense of humor. Tell your friends you spent the weekend in jail-better yet, your anniversary or wedding night! Direct TV is available in all rooms/cottages except Remembrance. DVD and VCR’s are available in all rooms/cottages. Guests may select from over 400 courtesy movies for their watching pleasure or bring their own DVD’s or videos. In the morning guests may enjoy a full gourmet breakfast around a 10′ revolving dining table. For more information or to make a reservation you can contact us by phone at (256)523-3825, or via email at secret@tds.net.